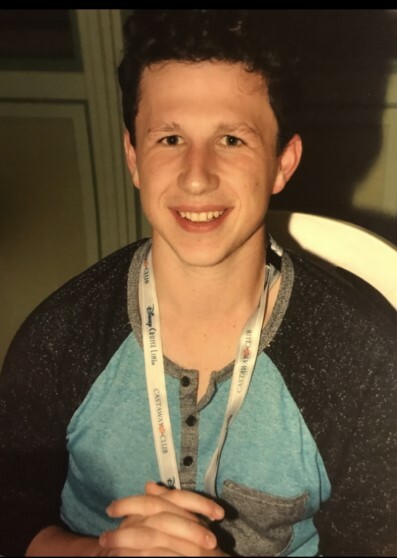 UPDATE: Philip Robert Cerria has been located safely. Thank you for your assistance. On Monday December 11th at approximately 12:00PM missing adult male, Philip Robert Cerria, was last seen walking in the area of College Drive and Peter Cheeseman Road walking from Camden County College with a possible destination of the WAWA at 1301 Little Gloucester Road Blackwood, NJ 08012. Mr. Cerria’s personal vehicle was left in the parking lot of Camden County College where he is a student. His vehicle is described as a tan 2008 Honda Tan Civic. Located in his vehicle was his wallet. Philip Robert is described as a 23 year old white male, 5’-04”, approximately 160 pounds, brown hair and hazel eyes. He was last seen wearing a gray hooded style sweatshirt, blue jeans and Nike Slider Shoes. Philip Robert is a resident of Marlton, NJ. If anyone knows the location of Philip Robert Cerria please call the Gloucester Township Police Department at 856-228-4500, or call our GTPD Anonymous Crime Tip Line: 856-842-5560. To send an Anonymous Tip via Text Message to Gloucester Township Police, text the keyword TIP GLOTWPPD and your tip message to 888777. You may also click here to access our Anonymous Web Tip Page: https://local.nixle.com/tip/alert/5170177. Our Anonymous Tip systems are NOT monitored 24/7. All incidents in Gloucester Township requiring IMMEDIATE police assistance must be called into GTPD at 856-228-4500. If you have an EMERGENCY or are witnessing a CRIME IN PROGRESS, CALL 911.